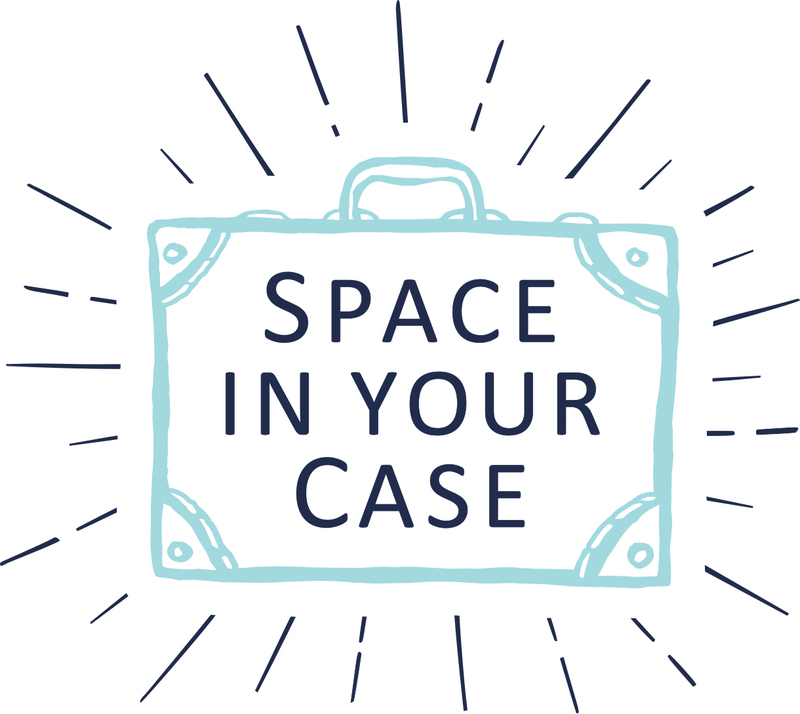 It’s just over a year since we launched Space In Your Case – and what a year it has been! Some of our highlights have been picking up the Travel award at the Brilliance in Blogging Awards, run by Britmums, seeing Penny speak at both Blogstock and World Travel Market and Helen being named as the number 3 family travel blogger in the UK. It’s also been a year where the four of us have travelled far and wide, with our families and on press trips, experiencing new places, going back to old favourites and (best of all) documenting it all here on Space In Your Case. Here, we look back on our individual travel highlights of 2015…. “I feel so lucky to have travelled as much as I did in 2015. At the start of the year, I vowed to take as many trips with my family, as I could, before my daughter started school. I’m pleased to say we did pretty well! From camping in Cornwall to an action-packed week in the Peak District to a luxury mini break in Worcestershire (all reviewed over on my own blog) our holidays varied in type and budget. And I’m so thrilled we made the effort, because since school started in September, we haven’t had a chance to go anywhere! “So what are my travel highlights? My first one is going back nearly a whole year to January 2015, when we went to Turks & Caicos Islands to stay at the Beaches resort. This place was the perfect remedy to the January blues – with golden sand, turquoise seas and more fun than you can imagine. Beaches’ affiliation with Sesame Street is what made this holiday for us – it meant there were stage shows, a parade, a brilliant character breakfast, and more. “I left the family at home for a few trips too. 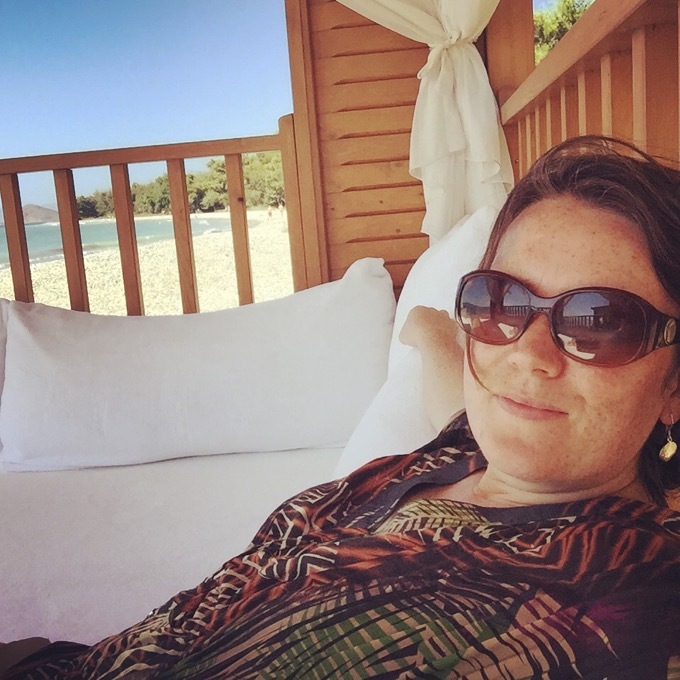 There was the quick one night away with Katie at Ragdale Hall Spa, a press trip to Ikos Oceania in Halkidiki and one of my favourites – a trip to Mallorca with Scott Dunn Travel. It was a real eye-opener to experience the luxury that they offer guests who book a stay in one of their villas. With an in-house chef preparing all of your meals and snacks, to a playroom stocked with toys and games, the biggest surprise to me was how affordable their holidays are, if you get together with a few families. “I’ve loved planning what I would say in this post. Rather like dwelling on photos of a trip once you’re home (does anyone else miss the thrill of picking up photos developed from film after a big event? ), looking back over 2015’s travel diaries has made me appreciate our holidays even more. “This year we began a love affair with the Caribbean, starting with a beautiful villa in Barbados. A flat island, it was perfect for cultivating sugar cane, but as plantations have given way to tourism, the landscape has altered, and now the focus is on dramatic sections of coastline, from idyllic beaches, to rocky surfing spots. We discovered that not all Caribbean islands are the same, when we visited Negril in Jamaica, with Beaches Resorts. Jamaica is mountainous, and filled with lush greenery, much less cultivated for its size than its smaller neighbour. We also became total converts to all-inclusive holidays, having previously hungered for the freedom and flexibility of a self-governed trip. “That said, we did spend a fabulous fun week self-catering at Duinrell holiday park in Holland, with Canvas Holidays, where even the rain didn’t prevent family fun. We had the most amazing time at the on-site theme park, complete with full-scale rollercoasters, and the Tikibad, a superb indoor water park and slide complex. “We didn’t have to travel too far for some of our greatest adventures last year though. One of our most memorable nights was spent in a wooden hut at Whipsnade Zoo, right next door to the Rhinos! Equipped with comfortable beds, and proper showers across the campsite, this was proper glamping, but with the added excitement of safari tours in the dark to make the children think they were in sleepover heaven. “If I had imagined at the start of the year that as a family we would have travelled anywhere near as much as we did in 2015, I would never have believed it. Like Alison, I vowed in 2015 that I would take as many trips as I could before my eldest daughter started school. And goodness, did we keep to that promise! We started off the cold and miserable January by jetting away to Turks and Caicos in the Caribbean with Beaches Resorts. 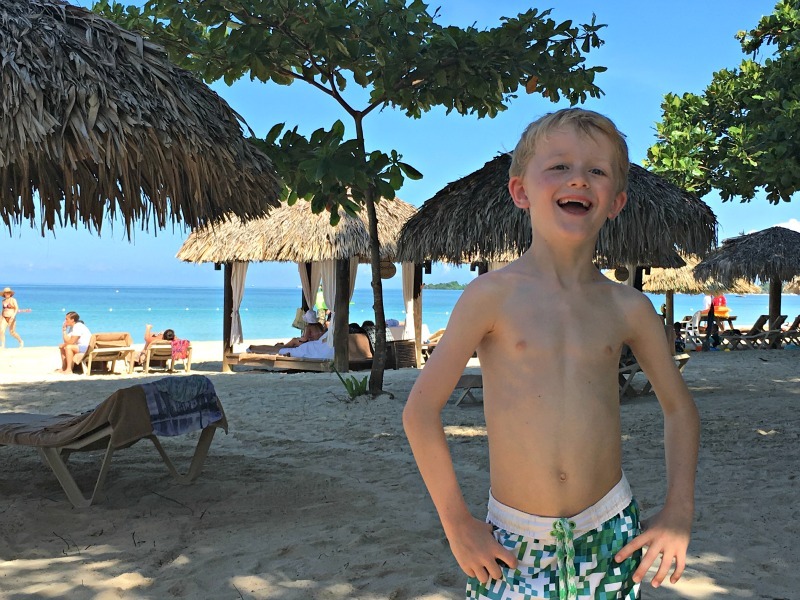 It was utterly intoxicating to be able to feel the white sandy beach beneath our feet while knowing that it was wet and grey in England- there is definitely something to be said for going on holiday in January and we fell in love with the Beaches family friendly concept. It was by far one of our highlights of the year. Back in the UK, we headed off on a series of mini breaks enjoying the vastly different places our country has to offer. Indeed this is something I am looking forward to exploring this year more, as we try and fit our travelling passion in around those dreaded school term times. We headed off to Norfolk, Bristol, the Peak District and Hampshire, to name but a few. We also indulged in two rather lovely weeks in the sun- firstly to Lanzarote with James Villas, where we had a quiet week in a villa, and one of our favourite places Levante Beach Resort in Rhodes with Mark Warner, where we have now been twice and would go back again in a heartbeat. I also was lucky enough to experience a few days of over indulging in Greek food at Ikos Oceania on a press trip and I would love to take my family back there one day. We also visited Stockholm with Visit Stockholm, a city which has long been on my Top 5 Travel Wishlist. But if I had to say just one travel highlight of the year? It would without a doubt be our trip to Orlando Florida with Thomson Holidays. It has been a dream of mine to visit Orlando since I was a little girl and to be able to take my girls to visit Mickey Mouse and friends was definitely one of my life highlights. The magic and awe on on their faces is something that made me get regular tears in my eyes, and one which I will remember forever. “Do you look back and review your holidays before booking the next one? I mean really look back? I was stunned when I looked back at how many trips we managed last year, as the year ended I realised how much I had learnt from and about travelling, there is such an art to doing it right. We invest so much energy in planning holidays, and in travelling too, with such high expectations. When I looked back there were some surprise benefits I hadn’t anticipated. 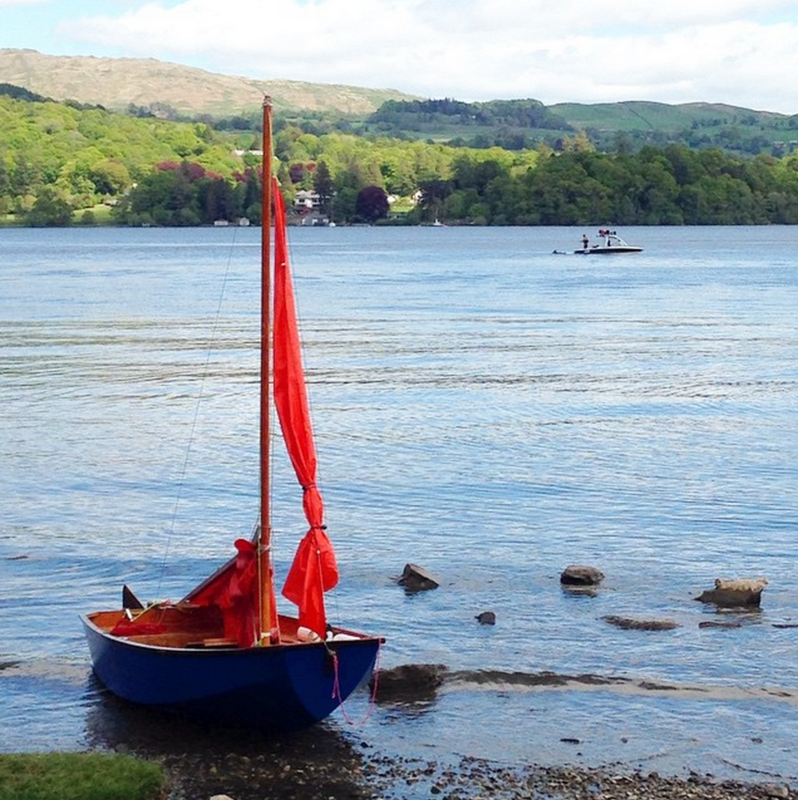 Travelling in the UK was hugely satisfying, I will never forget our life affirming adventures in in the Lakes in May, based in a cosy Sykes Cottage left us with an immense sense of achievement and closeness as a family, so much so that my husband and I returned for our 10th wedding anniversary in August, this time at Holbeck Ghyll. I had a record 3 mini breaks with Mr A this year, a precious gift, time alone is so important to a happy marriage. Cardiff introduced us to the joys of Dr Who, while North Norfolk showed us the incredible difference two days by the sea can make. Edinburgh was bursting with exciting things to see and do, for all the family, and spending a weekend in a lodge with hot tub in Sherwood Forest gave me the roots I had craved in my home city. Blackpool was a riot and reminded me to stop taking life so seriously and have more fun. What were your travel highlights of 2015? Do you have memories of one special holiday? Tell us by commenting below! Thanks Donna, we’re so excited for some of our plans next year. When we started 2015 we had no idea how far we would go – might be interesting to clock up our collaborative miles!